Feast your eyes on this pizza pie, made your way! Bright Bites delivers children’s favorite foods with a difference: the main ingredient is educational play. 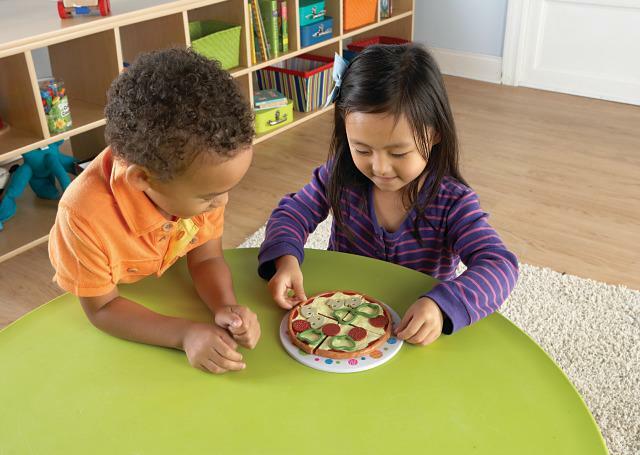 This recipe calls for 4 pizza slices, 12 toppings (4 each of mushrooms, green peppers, and pepperoni), a festive pizza pan, and hours of matching, counting, and fine motor fun. Match the toppings, put them on in a specific order, or simply customize the perfect pie—the choice is yours.